A Jessner peel is a combination of alpha and beta hydroxyacids, salicylic acid and lactic acid in an ethanol base that work together to remove the top layer of your skin leaving a smoother, more even toned complexion underneath. It has long been used to treat active acne, reduce the presence of acne scars, minimize inflammation, and improve pigmentation. Jessner peels have been found to improve texture and coloration for both lighter and darker complexions. Patients should make sure to avoid sun exposure before and after the chemical peel. Many opt to undergo this procedure during the fall and winter months when they are less likely to be outside. It is important to discuss any medications you may be on, as some increase your skin’s sensitivity. Chemical peels are not recommended for women who are pregnant, nursing, or patients who may have taken Accutane in the last 6 months. Please inform your provider if you have a history of cold sores, as chemical peels can trigger these. Patients with rosacea, facial eczema, or psoriasis should take extra caution as these can be exaggerated after a peel. There typically is very little discomfort during this procedure; a chilling device is used to help reduce any pain. It is important to follow all instructions from your provider in order to achieve the best results and reduce any complications. It is recommended to avoid any exercise or extreme heat during the first 24 hours after the peel. On day 2-3 your skin may begin to peel and this could last between 2-7 days. It is recommended to avoid any harsh skin care products containing retinols or acids for the first 10 days following a chemical peel. Do your best to avoid scrubbing, picking, or peeling any of the skin that is shedding as this can lead to unwanted scarring or potential complications. After showering, pat dry, do not rub with your towel. TCA stands for trichloroacetic acid and is a derivative of vinegar. It is used to target and denature keratin proteins which in turn causes the top layers of the skin to slough off improving the overall texture, color, and quality of your complexion. The peel is used to create minor injuries to the skin to promote collagen production, which helps to improve fine lines and wrinkles. TCA peels can range in concentration. They tend to be deeper than many other peels on the market. During the treatment, you may feel slight stinging for a few minutes. A chilling device is used to help ease any discomfort during the peel. Your skin may feel slightly uncomfortable for a day of two after the peel but should not hurt. Most patients will begin peeling on day 2-4 and some may continue peeling for a week. It is important to stay out of the sun to prevent hyperpigmentation and to follow all directions from your provider. As soon as your peeling stops, you will see immediate texture results. As long as you keep your skin protected from sun exposure, you should see improvement over 1-3 months. Generally, TCA peels are preferred for lighter skinned individuals to prevent hyperpigmentation. Patients with darker skin may be excellent candidates for different peels, it is important to discuss options with a qualified provider. Patients should inform the office if they have had recent sun exposure or a current sunburn. It is important to discuss any medications you may be on, as some increase your skin’s sensitivity. Chemical peels are not recommended for women who are pregnant, nursing, or patients who may have taken Accutane in the last 6 months. Please inform your provider if you have a history of cold sores, as chemical peels can trigger these. Patients with rosacea, facial eczema, or psoriasis should take extra caution as these can be exaggerated after a peel. Results will vary from patient to patient depending on what each individuals goals are. 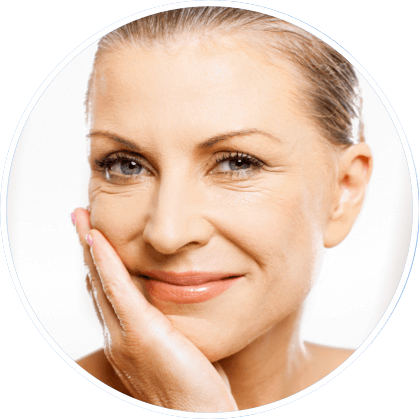 Immediately following the peel you will see improvement in overall skin texture and quality. Several of the dark spots will be lightened and oil production on the skin is reduced. It is recommended to do continuous treatments to optimize overall skin health. Typically this means 2-4 treatments a year.